It was the video sensation of last year, currently sitting at over a billion views on YouTube. It features a smoky-voiced chanteuse in a big fur coat and a thoroughly obsolete flip-phone. And it’s a great example of what’s wrong with the current state of content marketing. Ostensibly, the song is about trying to make a connection with an old flame. But if you listen closely, it’s the most one-sided conversation imaginable. “Hello, it’s me,” Adele sings. “I’ve been wondering if after all these years you’d like to meet…they say time’s supposed to heal you, but I ain’t done much healing.” Notice how many times she says “I” in those opening lines? It gets worse: We learn the singer is in California, is feeling nostalgic, has called “a thousand times.” In the third verse, she finally acknowledges that she’s talking about herself too much. She asks a single question…which she steamrolls into the chorus before she gets an answer. Now, obviously a pop song isn’t a great place for a genuine conversation. So we can’t fault Adele for being too self-absorbed. But when we feel like we’ve reached out a thousand times with our content, and haven’t received a response, maybe it’s because we’re not invested in creating a dialog. Content that sparks a dialog starts by addressing a topic your audience wants to talk about. 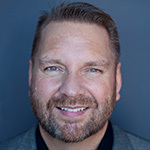 Your opening gambit should be perfectly at the nexus of what they want to hear, what you want to say, and what serves your ultimate business goal. So before you publish any piece of content, it’s vital to find out what your audience wants to hear about. In a way, you’re not starting a conversation; you’re entering a conversation that has been merrily proceeding without your brand’s voice up until now. Research can help you jump in and join the flow with a valuable contribution that invites a response. Throughout your research, look for blind spots you can address. That way, you won’t enter the conversation merely parroting what everyone else says—you can lead with an insight that can spark further discussion. To make sure your content invites a response other than a yawn, it’s important to write with personality and a strong point of view. Let your audience know that there’s a human being behind the words they’re reading, someone with opinions worth discussing. It’s important to make sure your content has something to say, and says it authoritatively. Here’s a simple exercise for making sure your content has a strong point of view: Try to argue the opposite point than the one your piece is making. If you can’t come up with a way someone would refute your point, odds are you haven’t made it strongly enough. It’s also worth courting controversy in your content. That doesn’t mean every post should spark a riot, but it does mean not shying away from bold statements that are consistent with your brand’s values. Rough up the edges a little. Aim to incite a response. If you do it right, anyone who is turned off by your directness will be someone who was never in your target audience anyway. 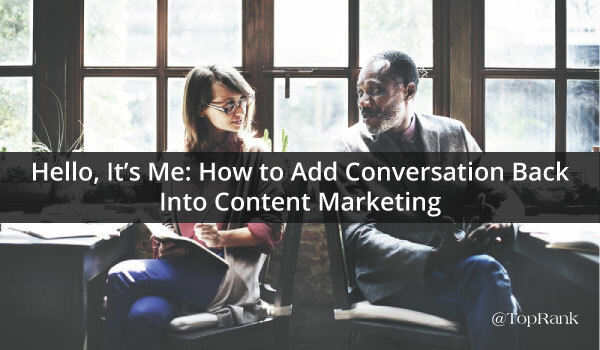 Now that you have content engineered to start a conversation, you’re ready to talk. For the most part, the discussion will take place on social media. It’s a good idea to develop and document brand guidelines for your interactions on each platform. If your brand were a person, what would it be like? Funny? Serious? Somewhere in between? Compassionate? Professional? Sarcastic? If multiple people will be handling brand interactions, brand guidelines will help promote the feeling of one coherent personality. The other option is to make your employees the ambassadors of your brand. Let them step out from behind the brand and express their personality (within limits) on your behalf. It’s a bolder move, but one that can humanize the brand and lead to more interaction. The way you share content, regardless of which network you’re sharing it on, can either encourage or discourage interaction. Social shares are too often just the title of the content and a link, without any pretext to a discussion. Take advantage of the longer character count available on LinkedIn and Facebook to pose a question when you post. Point out a specific section you want people to respond to. Ask for readers to provide their own anecdotes. If you want to keep the actual share short and sweet, post the first comment with your questions. Make it clear that you’re seeking to start a dialog. When someone takes up your invitation to talk, don’t leave them hanging. It’s important to keep an eye on your LinkedIn, Facebook, Twitter and blog comments. Make sure anyone who posts anywhere you post can expect a quick response. Don’t think of it as a chore or a distraction; talking one-on-one with a consumer is the ultimate goal of this whole enterprise. In addition to tending the discussions you start, it’s a good idea to use social media monitoring tools to keep an eye on emerging conversations about your brand. Keep your interactions consistent with your brand voice, and you can develop a reputation as a good conversational partner. If you really want to start a dialog with your content, snap shut your flip phone and shut down the brand-centric talk. Find out what your consumers want to talk about, craft content that invites conversation through a strong point of view, then share it in a way that encourages discussion. With consistent effort, you won’t have to call a thousand times to get a response.